For a lawn that helps the environment — and doesn’t need to be mowed — look to the ocean. Meadows of underwater seagrass plants might lower levels of harmful bacteria in nearby ocean waters, researchers reported February 16 during a news conference at the annual meeting of the American Association for the Advancement of Science. That could make the whole ecosystem — from corals to fish to humans — healthier. It’s no secret that seagrasses improve water quality, says James Fourqurean, a biologist at Florida International University in Miami who wasn’t involved in the research, which appears in the Feb. 17 Science. The plants are great at removing excess nitrogen and phosphorus from coastal waters. But now, it seems, they might take away harmful bacteria, too. A few years ago, Lamb’s colleagues became ill with amoebic dysentery while studying coral reefs in Indonesia, an archipelagic nation that straddles the Indian and Pacific oceans. When a city or village on one of the country’s thousands of islands dumps raw sewage into the ocean, shoreline bacteria populations can spike to dangerous levels. Water sampled close to the shores of four small and densely populated Indonesian islands had 10 times the U.S. Environmental Protection Agency’s recommended exposure limit of Enterococcus bacteria, which can cause illness in humans and often signals the presence of other pathogens. But water collected from offshore tidal flats and coral reefs with seagrass beds had lower levels of the bacteria compared with similar sites without the plants less than 20 meters away. The water had lower levels of numerous bacterial species that can make fish and marine invertebrates sick, too. 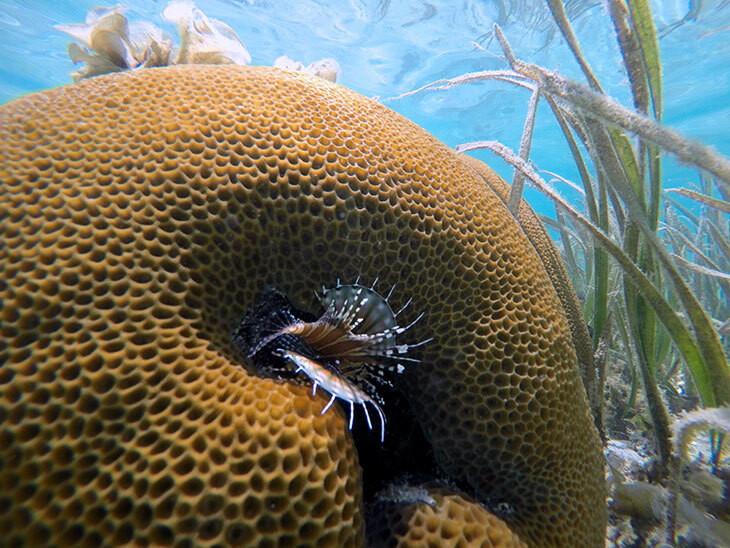 And field surveys of more than 8,000 coral heads showed that those growing adjacent to or within seagrass beds had fewer diseases than those growing farther away. It’s unclear how far from seagrass beds this cleaner water extends, but the benefits can ripple through the entire ecosystem, Lamb said at the news conference. Healthier corals help protect the islands from erosion. And fish less contaminated with bacteria make a better source of food for people. Lamb is planning follow-up studies to figure out exactly how the seagrasses clean the water. Like a shag carpet, seagrasses trap small particulates drifting through the ocean and prevent them from flowing on. The plants might ensnare bacteria in the same way, building up biofilms on their blades. Or, she suggests, the leaves could be giving off antimicrobial compounds that directly kill the bacteria. Note: Reproduction of this article is not for any commercial purpose.